Table tennis bags - Perfect storage for your table tennis equipment! A table tennis bag provides much room and comfort in situations where necessary. 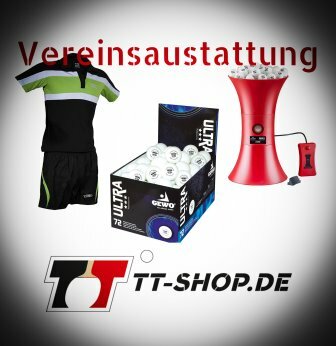 No matter if you are on your way to training, to an away game, or whatever, there are many things you´ll need: Bat (+ reserve bat), balls, shoes, clothes, towels, beverages, supplies, wallet, keys, etc. In order to find an appropriate place for all these items, you need much space. Of course, the best thing would be to fit all in whilst keeping the overview and getting back to your things easy and fast. For this, (table tennis) bags are appropriate. Below you will find such bags, and many of their features which are important in table tennis. Have fun reading through! Table tennis bags - Really necessary? Let us think about all the things we need when doing training or a competition. Especially, when there is an outward and return journey. Furthermore, there are some very handy things in case the journey takes longer. As already mentioned earlier, conventional backpacks may lack space. And there is nothing worse than an overcrowded backpack, where you always need to take everything out before reaching the things on the bottom. This is really annoying! Alternatives are suitcase-backpacks, touring backpacks, or (table tennis) bags: These provide much more space. However, large backpacks usually exhibit only a relatively small base area. Hence, one has to pile things up, resulting in "opacity", which is equally annoying. When considering table tennis bags, this is very different. Table tennis bags have a much larger base area, so you can place many items next to each other (instead of having to pile them up). It is very important that the table tennis bag is stable, robust, and solid. This is reflected by the material and thickness of the shell, separating walls, inner compartments, straps, but also by the quality of seams and zippers. A loaded bag can weigh several kilograms, and during its "life", it is permanently moved (lifted, put down, lifted, put down, ...), may have contact to liquids, or may accidentally be dropped. Furthermore, it is important that the table tennis bag not only has one big compartment, into which everything is squeezed. This also leads to chaos: Heavy items, like the bunch of keys or a full bottle, move to the bottom, making it harder to find those items, particularly when they are small. For this reason, it is recommended to buy a bag with several compartments, separable by a zip. Then you have individual and small compartments for your keys, the wallet. Flat compartments for documents, the laptop, and table tennis cases, or taller ones for your shoes, clothes, food, and so on. Individually separable inner compartments also prevent direct friction between your items. Also, external factors like dirt will not reach the items stored in other compartments. Some table tennis bags also provide mesh-compartments, hence, they are very breathable. If those are attached at the side, they are very convenient to carry fruits or similar things. Watch out, however, when putting down your bag ... you don´t want to squeeze the fruits. There are also bags with inner mash compartments. You should avoid placing items into such compartments which can create much dirt (the meshes are very coarse and wide). Another feature of many table tennis bags are (shoulder) straps which are adjustable in their length. They are way more comfortable compared to straps which cannot be adjusted. Also, straps commonly have shoulder pads to protect your shoulder against pressure marks when carrying the bag for longer periods of time. The material of table tennis bags can be quite different. In case they are made of synthetic fibers, such as polyester, they are easily wipeable (even with a wet rag). In case they are made of textiles, you can even gently wash them in your washing machine (it is recommended to use the gentle cycle, and gentle detergents). If your table tennis bag is made of leather, then contact with water or the usage of the washing machine are not recommended, and -strictly speaking- an absolute taboo. If such bags are wet, it takes longer to completely dry them. In such a case, you can use newspapers distributed in the inner compartments (don´t forget to regularly replace them with new, dry newspapers). For (smooth) leather it is recommended to use leather care products, such as special creams. Also other materials should regularly be impregnated. This makes the surfaces more resistant to external influences, and increases the durability. 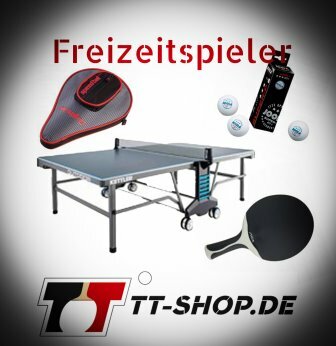 Regarding the "inner life" of a table tennis bag, there are many versions available: For example, bases with rubber, which is a good protection against water or dirt. Bases are sometimes also reinforced, which provides an effective increase in durability and protection. Depending on your taste and preference, table tennis bags are available in different colors, patterns, and shapes. Commonly, men choose classical-sporty designs, and colors like blue, black, or green. For women, there are also other (warmer) colors available, and more elegant shapes. You can also combine the looks of your bag with the looks of your clothes and/or shoes, resulting in a fancy overall look. For this, it may be appropriate that certain colors of the bag are reflected in some other part, such as the clothing. Some table tennis bags can also be used in an alternative manner: When travelling, when doing a trip, or when doing other sports. When carefully treating your table tennis bag, you will have much fun and appreciate exploring all of the possibilities, for a long time! 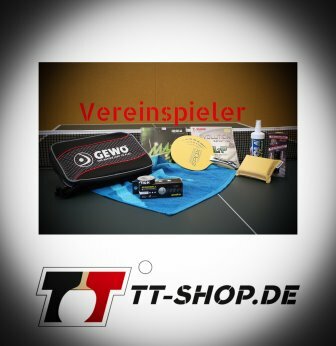 A table tennis bag is the perfect partner for the hobby, but also professional sector. This is not only true for table tennis, but also for other sports and activities. Much space (at the base), individual and separable inner compartments, good looking, and appropriate treatment - these things will provide much fun and a great feeling! Donic bags are very popular. They are available in different sizes, colors, and extras. Due to the marketing, the blue coloration is particularly popular. Next to rubbers from the Evolution series, and blades with the designation "Samsonov", Tibhar table tennis bags are also very popular! The overall range of products commonly comprises 4 to 5 series of bags. The nice thing about it is that there are other, appropriate (matched) articles available, such as Tibhar (bat) cases, Tibhar backpacks, and a Tibhar Trollex. You see there are many possibilities to stow your equipment using the same style.